No, you probably don’t need more than a couple pocket knives and multi-tools in your EDC stash. If you’re like us, though, you can appreciate the finer qualities of a well-made folder and a well-equipped multi-tool, making them desirable to pick up, regardless whether you actually need them or not. 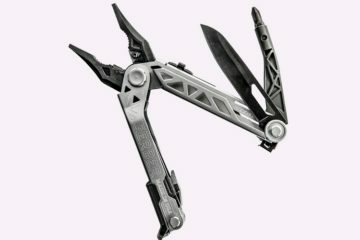 As with every other year, a generous selection of EDC knives and multi-tools are scheduled to roll out in the coming months. These are the ones we have our eyes on, in order from the most expensive to the most affordable. The most expensive knife the outfit ever made, this full integral folder has a CPM-S90V stainless steel saber-ground blade that combines a robust tip for effective stabbing with a long belly, giving it plenty of edge for efficient slicing. A Reeve Integral Lock mechanism keeps it attached to the fully-machined titanium handle, while ball-bearing washers allow the blade to pivot smoothly, whether it’s being deployed or collapsed. The handle features a slim contoured frame, a hardened steel insert on the face for over-travel prevention, a topside relief for easy lock bar access, and a right-side hourglass pocket clip for tip-up mounting. RELEASE INFORMATION: Coming soon, priced at $800 MSRP. 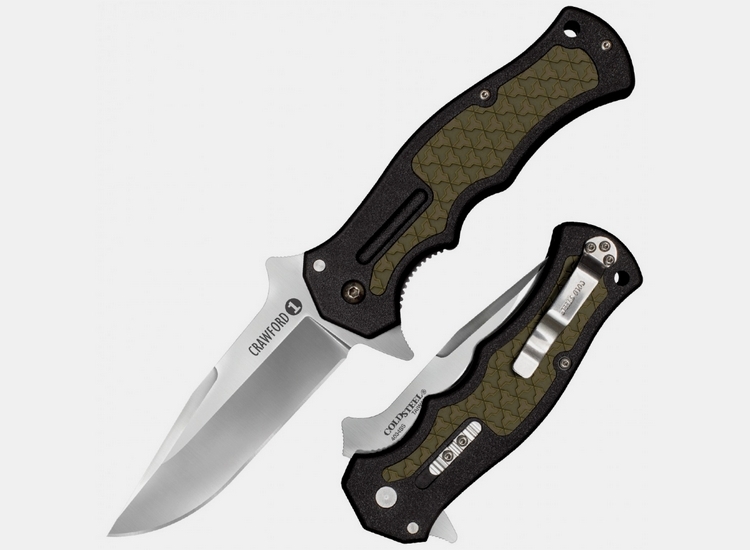 A Gold Class version of 2017’s breakout hit, this Bugout retains the original’s 3.25-inch drop point blade and handle design, but decks it out in Damascus steel and carbon fiber. 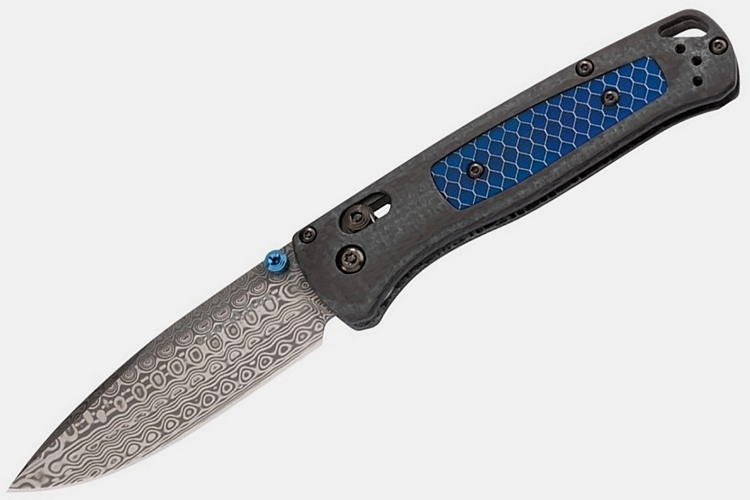 That’s right, it has a Damascus steel blade adorned with a Munin pattern and a carbon fiber handle, along with smoked gray PVD coated liners, pocket clip, and hardware to give the utilitarian favorite a whole load of flash. RELEASE INFORMATION: Coming soon, priced at $750 MSRP. 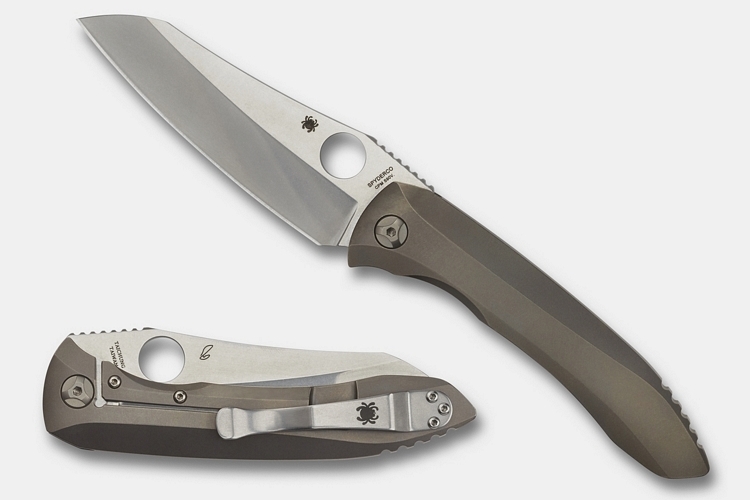 Designed by renowned custom knife-maker Dmitri Sinkevich, this premium folder, which is manufactured in Spyderco’s highly-regarded Taiwan workshop, the Drunken S90V is equipped with a full-flat blade that’s ground from CPM-S90V stainless steel. Clad in a modified sheepsfoot shape, the blade has a rugged stonewash finish and a large 12mm round hole for smooth one-handed deployment. This blade is paired with a milled and contoured handle cut in carbon fiber and titanium (the former out front and the latter in the back), with both scales covered in a wavy texture pattern that the outfit calls “drunken” (hence, the folder’s name). 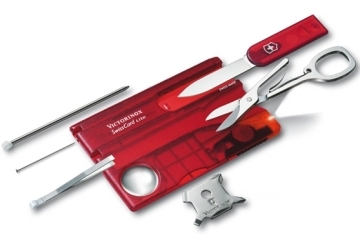 It has an integral frame lock, with a steel lock face insert for highly-reliable, long-term performance. RELEASE INFORMATION: Coming soon, priced at $630 MSRP. 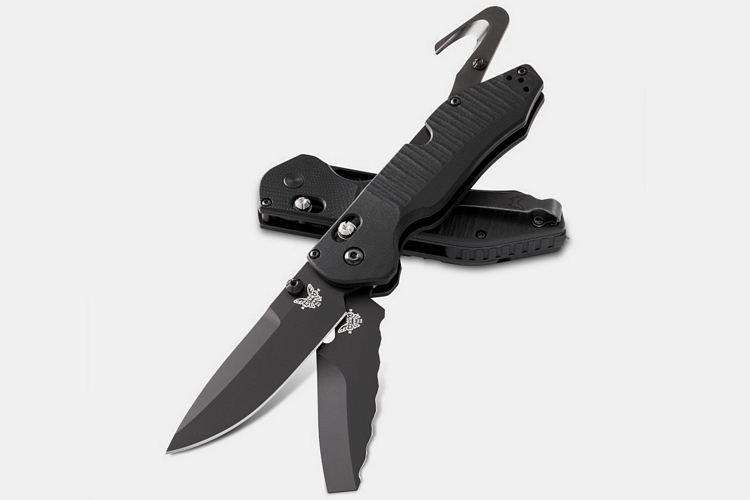 The latest addition to the outfit’s impressive rescue tool lineup, the tactical folder has two S30V steel blades attached to the handle using the outfit’s Axis lock, namely a traditional drop-point and a rescue blade with an opposing bevel edge. Aside from the blades, the folder gets a seatbelt cutter in the rear, a carbide tip glass breaker, and integrated rescue hook, making it a specialty knife for those who want to be prepared for emergency situations worthy of an action movie. RELEASE INFORMATION: Coming soon, priced at $300 MSRP. 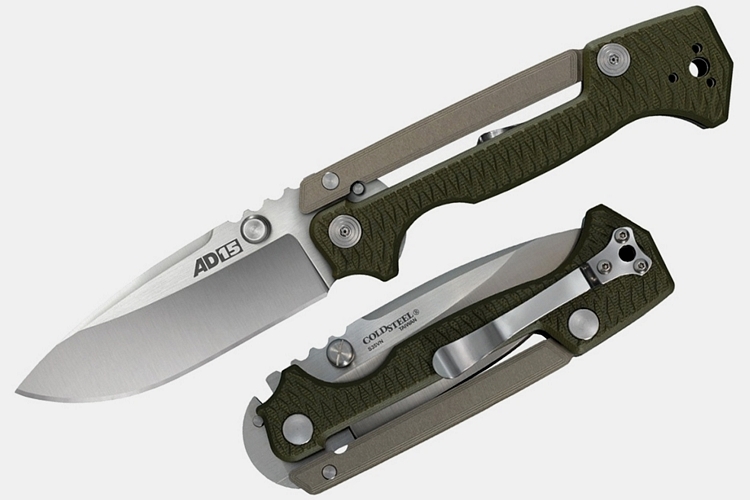 One of Andrew Demko’s weirder and more complex designs, the AD-15 is a tactical folder equipped with the knife maker’s famous Scorpion Lock, enabling one-handed ambidextrous operation. To the unfamiliar, the Scorpion Lock uses a locking component called the yoke, which forms the back part of the knife’s handle, requiring you to pull back on the yoke with your middle finger and thumb, then push the blade spine with your index finger to disengage the blade. It pairs a broad 4-inch drop-point blade made from S35VN steel to a four-part handle (two parts on each side), with each side pushed down towards the other using a spring. Like we said, this is quite complicated and could make for interesting conversation with fellow knife collectors. RELEASE INFORMATION: Available now, priced at $269.99. Another full-production collaboration with Andrew Demko, this folder carries the custom knife maker’s signature all throughout. The Tri-Ad lock he helped develop for Cold Steel? It’s in here. The extra-beefy drop point that makes you want to spike it through a thick slab of steak? That’s right. The 3.5-inch blade is ground thin at the edge for serious cutting, shearing, and slicing power, while remaining highly resistant to bending, chipping, or breaking. 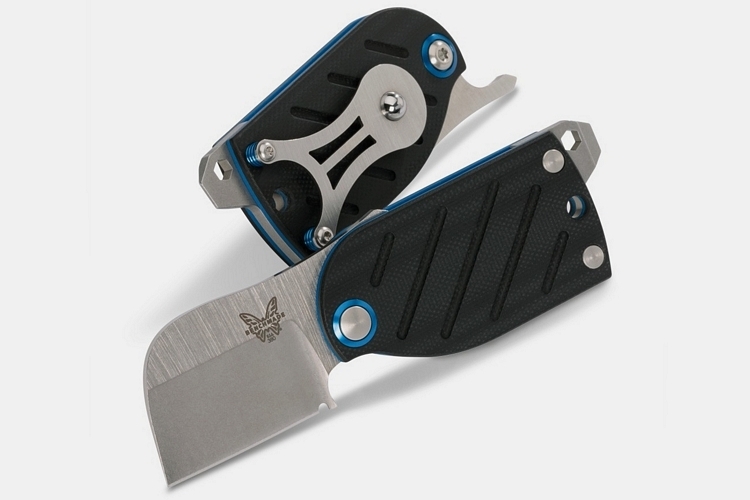 It pairs that blade with an equally beefy handle, sporting full-length aluminum liners, 3D-machined G-10 scales, and oversized hardware, while an ambidextrous thumb stud and dual pocket clips round out the complete package. RELEASE INFORMATION: Available now, priced at $239.99. 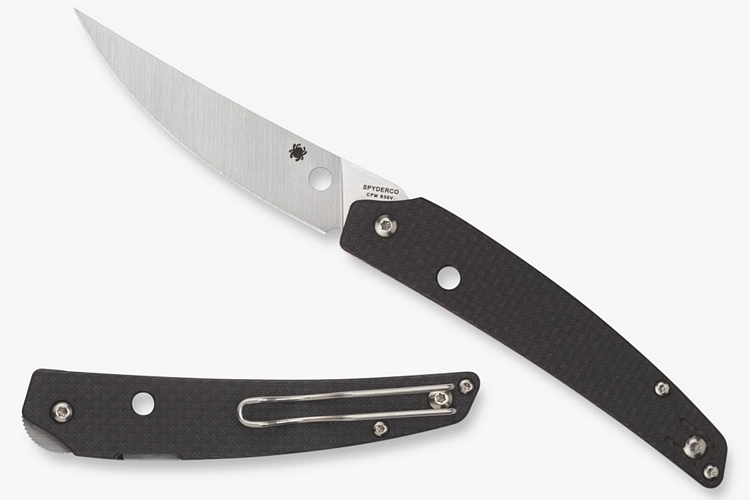 A collaboration with Paul Alexander, the Ikuchi is described as a “thoroughly different approach to pocket knife form and function,” bearing a slim and long profile that’s quite different from the norm for Spyderco. Like most of the outfit’s knives, it has an S30V stainless steel blade spanning 3.1 inches long, so there’s plenty of edge for cutting, with carbon fiber scales, so despite the length, it manages to weight a light 2.1 ounces. 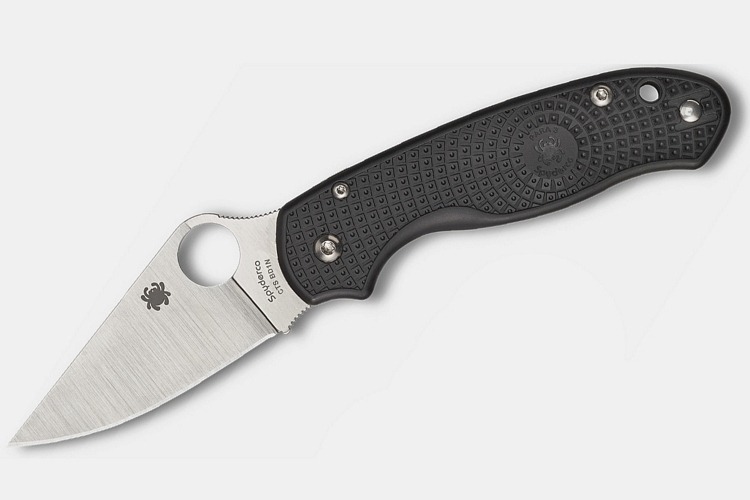 Unlike other Spyderco knives, there’s neither a functional thumb hole nor a flipper tab (which is what allows it to be so narrow), instead relying on a front flipper deployment mechanism. It’s priced affordably, too, making it one of the best value blades we’ve ever seen from the outfit. RELEASE INFORMATION: Coming soon, priced at $200 MSRP. 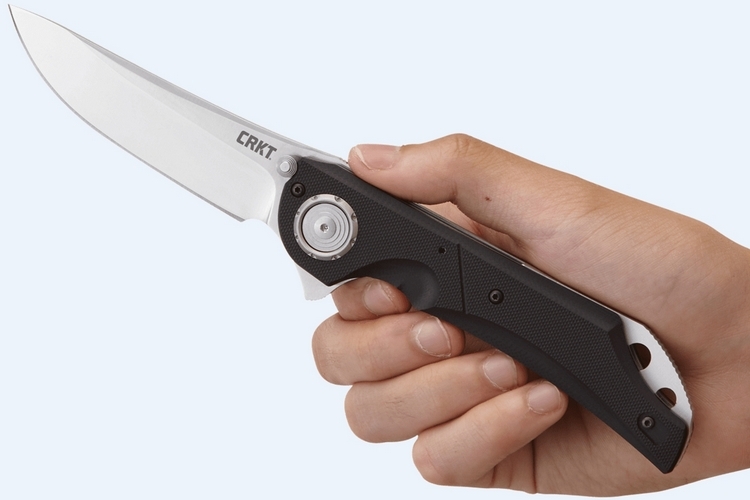 CRKT’s version of Joe Caswell’s custom Morphing Karambit, the Provoke borrows the former’s unique opening system, allowing the blade to be deployed without putting any of your fingers on its way. It has a 2.4-inch hawkbill-style blade that’s mounted on a 4.96-inch handle, giving you plenty of material to grip every time you slice, cut, and stab for a really secure hold. There’s even a finger loop at the end of the handle, allowing you to secure the knife to one of your fingers to guarantee it never slips off. A keychain EDC tool, this friction folder bundles six useful items in a very small package, having been equipped with a wharncliffe blade, a screwdriver/pry tip, a micro bit slot, a custom clip, a bottle opener, and, of course, a key-ring hole. 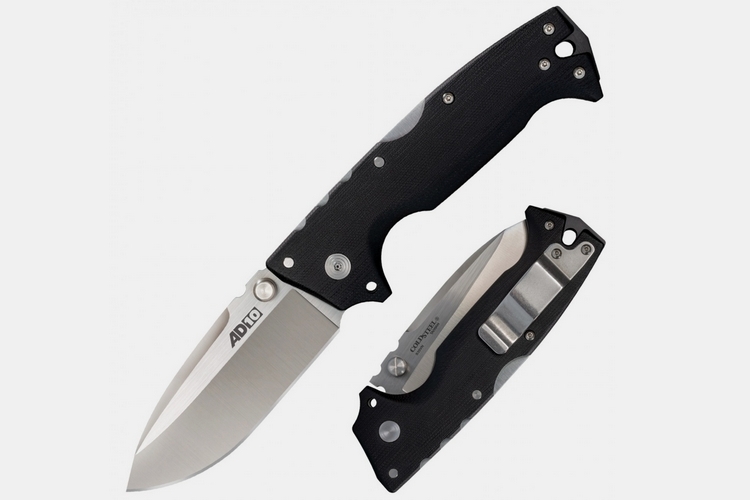 The S30V steel blade is attached to a black G10 handle. RELEASE INFORMATION: Coming soon, priced at $160 MSRP. 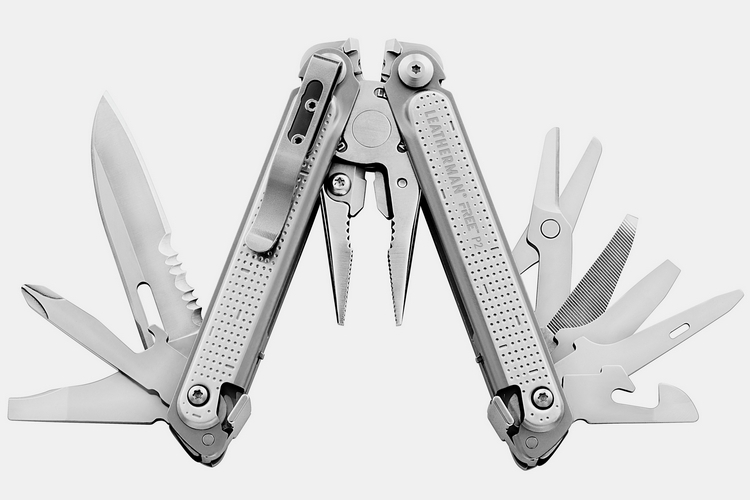 Leatherman’s newest multi-tool line brings some innovations to the EDC space, sporting a magnetic architecture that makes it easier to deploy, handle, and put back all the individual tools. 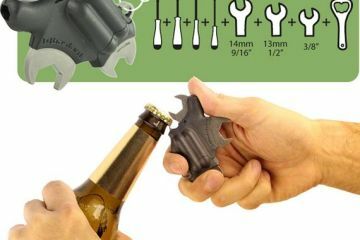 Basically, integrated magnets hold the entire multi-tool closed, allowing you to open it right down the middle by pushing with your thumb and flicking your wrist like a butterfly knife. To access each tool, simply push them away with your thumb to snap off the magnetic hold and push them in with your index finger once you’re done to snap it back in place. Seriously, it’s such a simple yet highly-intuitive design that we’re genuinely surprised took this long to happen. RELEASE INFORMATION: Available starting April, priced from $40 to $140. Billed as a “heavy duty EDC knife,” this large folder has an overall profile of 9.4 inches long, making it a questionable knife for stashing in your pocket (unless, of course, you enjoy the noticeable bulge). Equipped with a deadbolt locking system, it has steel bolts interlocking with the base of the blade, ensuring zero chance of accidental deployment or closure, allowing it to be used for the most difficult cutting tasks. Disengaging the steel bolts is easily accomplished by pressing a button on the handle, allowing the blade to open or close without impediment. 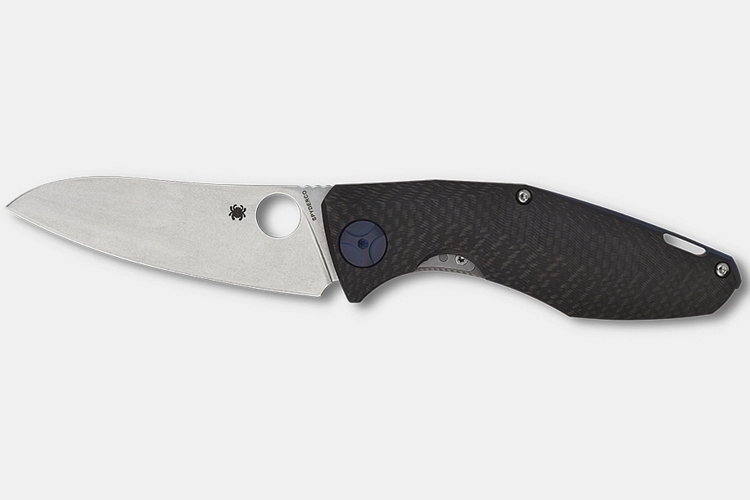 A more affordable version of the smash hit Para 3 from last year, the new folder retains the same 52100 forged carbon steel blade, full-size thumb hole, and open-backed construction that everyone seemed to love. It pairs all that, however, with a new fiberglass-reinforced handle to help round out the lightweight build, while making it very affordable. RELEASE INFORMATION: Coming soon, with a street price of $91. Wes Crawford’s first collaboration with Cold Steel recreates the custom knife maker’s pricey “flippers” in affordable form, allowing this folder to open lightning fast with a single-handed flip. It has a blade cut in Japanese 4034 stainless steel that’s been hollow-ground to a thin, razor edge, with the entire 3.5-inch blade sporting a wide saber grind, a strong sharp point, and extended belly for plenty of cutting and slashing. That blade is combined with a nearly 5-inch fiberglass-reinforced nylon handle with traction rubber inlays and a low-profile pocket clip. RELEASE INFORMATION: Available now, priced at $49.99. What do you do when you find yourself with a hit knife? 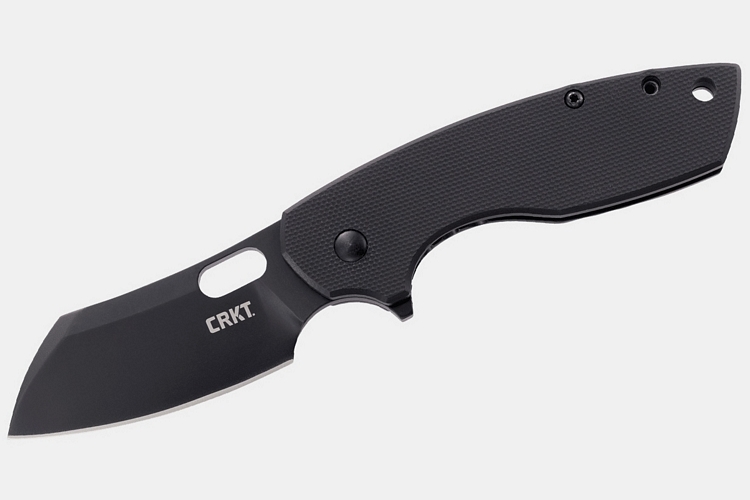 Well, you do more of the same thing and that’s exactly where CRKT went with the Pilar Large, which sports a 2.7-inch blade and a 4-inch handle to make it just under an inch longer than its predecessor. That extra size should make it even more useful, allowing it to tackle tasks that wouldn’t have been comfortable with the original’s smaller profile. Construction is 8Cr14MoV steel for the blade and G10 for the handle, making it lighter than the original despite the bigger size. The Munin pattern on the Bugout knife is absolutely gorgeous. I also suggest the budget-friendly Morakniv line of knives. Morakniv is what I started out with and they are priced cheap on Amazon, yet very high-quality. I bought 12 of the Morakniv companion knives for a scout group. The best part about the Morakniv is that you don’t worry about damaging the knife because they are so inexpensive. I use the Morakniv Companion. Although I think the knife is a great buy, the sheath drives me insane. The Morakniv Companion sheath is made of hard plastic and the knife always slips out. I lost a Morakniv Companion on my last camping trip. I wasn’t too sad because the knife only cost me $15 or so. If I owned a $200 knife and lost it I would have been devastated. I will continue to buy Morakniv knives, but I also am eyeing some more expensive ones to add to my collection. The best part of using a Morakniv is using it to learn how to properly sharpen a blade. I own some expensive knives that I inherited from my father, but I taught myself how to sharpen blades using a Mora. I slaughtered my first couple attempts, but it was not a problem since the knife was cheap. After a couple of days and a lot of Youtube tutorials, I now have the confidence to sharpen my more expensive knives without fear of ruining the blade. Mora knives are an excellent value, but they are designed as throwaway knives. If you want an heirloom knife you can pass own to your kids, I would not buy a Mora. I guess if you did just take the Mora knife and built your own custom handle and finished the spine off, you could have a cheap knife that would be good for an heirloom. The Mora is not perfect, but as a starter knife, they do not get any better. To keep the Mora knife from slipping out of the plastic sheath I took a small rubber band and put it around the base of my handle. The rubberband keeps the knife from slipping out of the sheath. I bought a more knife and was disappointed that the one I bought had an unfinished spine. The Mora did come with a sheath, but it is a cheap plastic. For what you get, the More knives are a great value, but I would prefer to pay extra for a more serious knife. 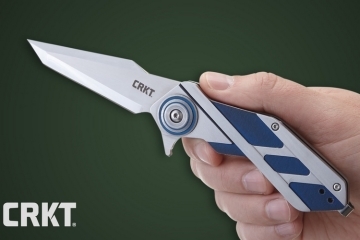 The CRKT Provoke is so simple in design. I would like to see more knives using this style. The CRKT Provoke seems overpriced to me though. I think this knife should be under $100 for what you get with it. There are some CRKT Provoke clones that function the same and look similar, yet cost under $50. I don’t know if they are built as well as the Provoke knife though. I have doubts as to how long the locking/unlocking mechanism would hold up with the clone knives. I suspect the CRKT Provoke will be a lot more durable in the long run. Keep in mind that the karambit style of knife is designed primarily for self-defense use, although you can still easily open boxes with it. Well, the karambit is a good fighting weapon but it is very versatile as it can also be used for anything from gutting fish to a general use camping/hiking knife. Out of all of these knives, the Cold Steel Crawford Model 1 is the one I want. 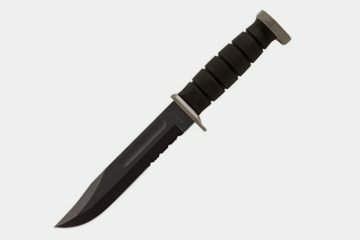 Cold Steel could have easily made a knife that cost a lot more because of the Wes Crawford name, but they made it more affordable so it will be available to everybody. It is a simple design yet beautiful. A lot of people look at fashion over function when they buy a knife. I like a knife to look good, but will it work for what I need is my primary concern. 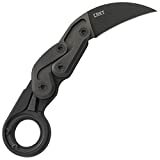 I like the style of the CRKT Provoke karambit knife, but I would not buy one. I need a knife that can gut deer, fish, and work as a general camp knife. Although a karambit style knife can do these things, it is not the most efficient design for my needs. A knife such as the Spyderco Ikuchi will meet my needs better. The Spyderco Ikuchi will excel at gutting fish, work well enough for deer and other game, as well as being a portable design that I can carry with me easily. Karambit knives are primarily designed for self-defense, and I don’t ever see myself in hand-to-hand combat fighting for my life. 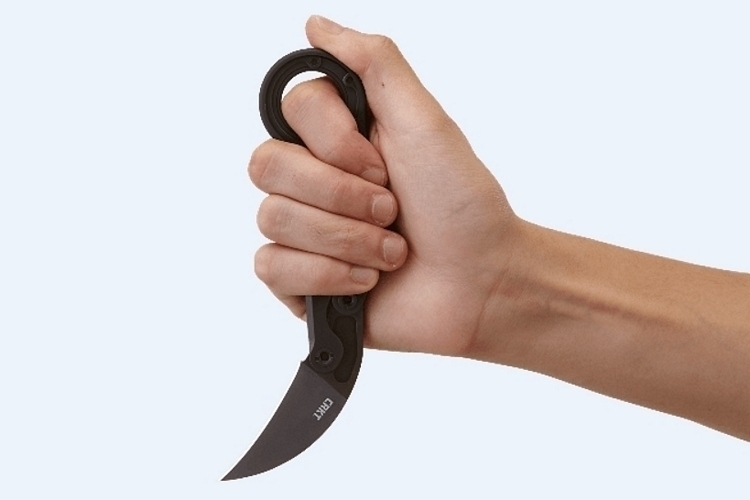 Nobody really used Karambit style knives for fighting. I do however know couple guys here locally that I fish with and they always use a karambit knife for gutting their fish. You can also gut deer with them too. It’s really in how the knife feels and handles. I use a K-Bar for gutting fish. Might not be as efficiently designed for y use as a dedicated fishing knife, but it is what I am used to and it works best for my needs. K-Bars are also a fighting knife, but most Marines use them for non-combat purposes. 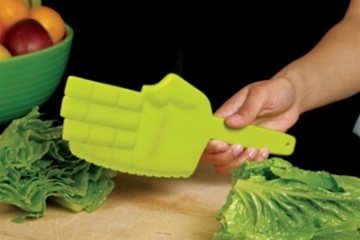 Find a knife that works for you and don’t worry about how the knife is marketed. I used to by knives at my local hunting/outdoors shop, but no more. Amazon has THE BEST pricing. Why the heck would I pay extra money just to buy a knife locally? When you are buying a knife you need to check the balance, grip, and see how it fits your hand. When you are holding the knife you will know if it is right for you or not. That’s also possible with Amazon. I was buying a knife for my wife to use when we go camping and fishing so she would have her own and not have to rely on me. I narrowed down ones I thought she might like and ordered 4 of them. She got to feel and grip each knife, and then we sent the others back. Amazon is amazing with their return policies. They even encouraged me in a support email to order multiple sizes of jeans and to just return the ones that don’t fit. Amazon understands the lifetime value of a customer much better than my local shop does. I also get a lot more product choices on Amazon than buying locally too. Does the CRKT Pilar Large have a balanced blade? I’m looking at getting that one for fishing/camping this summer. I don’t want to spend a lot on a knife, but this one looks almost perfect. The Large CRKT Pilar will balance perfectly in the center on your finger. I was wondering that too, and then I finally just broke down and ordered it from Amazon. I was expecting to be disappointed and have to send it back, but this knife is amazing and I happily kept it. It is finished real nice, especially compared to my much cheaper Mora knife. It’s not the best knife in the World, but for an under $50 knife, this is a bargain for what you get. I had a cheap knife with the circle to open it up as the Paysan knife has, but it still took two hands to open it. I thought the circle was mainly for stylistic reasons, but once I bought a Paysan I was surprised that I could actually use the circle to open the knife with one hand. A quality knife is worth so much more than a cheap knife, especially if you are ever in a survival situation where your life literally depends on you having a knife that you can use to keep you alive. Skinning game, gutting fish, cutting paracord, and whittling wood are all much easier when done with a quality knife that is properly sharpened. A cheap $5 knife from the gas station will have too many flaws and of too low of quality to be used as your primary knife. As a female and someone with an interest in survival, have you thought about starting a Youtube channel? There are a lot of popular survival and bushcrafting channels, but only a few of them are women. I think a good female bushcrafter om Youtube could help a lot of young women to get interested in the craft. Bushcrafting and survival videos are overwhelmingly marketed towards men wh make up the bulk of the viewers, but a popular woman could bring a slightly different angle and potentially garner a lot of views. There are a couple of bushcraft women on Youtube, but they tend to create linkbait thumbnails by showing them dressed provocatively in a bikini, so many true bushcrafters and survivalists won’t take them seriously because they are trying to get views with their body and not their craft.